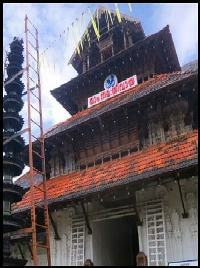 The Temples in Kerala has been all the time an amazing factor for its uniqueness in structure, rituals, tradition, offerings, festivals, customs etc. Some of these are even connected with our great epics Ramayana and Mahabharatha. The national agenda for us, therefore, shall be to preserve and nurture this invaluable tradition that has been bequeathed to us from time immemorial and thereby to uphold the greatness of our culture. For an average Keralite Hindu feels that their day starts with the prayer and offering in the temple with a bath either in the pond nearby or in the house itself with a deity circumstance. Temples may also be called by other names like Mandir, Mandira, Kovil, Koil, Ambalam, Kshethram, Devalayam depending on the sub continent and local languages. It is believed that each temple is constructed as it represents the body of human. Thus a temple denotes all aspects of a human body. Some times we refer a temple as body of the deity which is installed. It is said that a temple should provide calm, quiet and neat environment where devotees can get peace of mind. There may be certain rules and regulations set by the board/trustee or by default, that should be stipulated by the devotees who visits the temple. Most of the temples allow only hindus to enter the premises. Exceptions are also there, where you can find caste-no-bar temples in kerala. Why we visit temples : For what purpose we are going to a temple? Simple, but difficult to answer. Each one has their own reason for visiting. The most common answer we found is, it’s for religious or spiritual prayer or upasana. Some says its part of their daily routine which they are used to. As we concerned about famous temples in kerala, it represents more than just a pilgrim center. It has number of other roles to play in day to day life. It acts as a social welfare centre, a tourist place, an art and cultural centre and a place where all human being gets mental peace and harmony. But no one really knows that the main intention behind building temples was for protecting our environment and nature. This specialty can be seen throughout in Kerala. Thus, we can say temples in kerala are echo friendly. Moreover, it is supposed to be a 'Sanathana Dharmacharana Saala'. Ancient times, it was referred as "Kavu" which means "Kaadu" (forest). By building a "kavu" in a village, its environment is protected by default. There were times in olden years that, temples acted as the focus point in a particular village, where villagers are gathered together and find solution for their day to day problems. Mental Energy : As all of us know, all human beings want energy for their day to day working. Energy is required for both our Body and Mind. Is energy for our body enough for us? Then what about the Mind? It is true that we need mental energy to function our mind better. We get energy for our body from the food what we eat. Fine! Then how can we get mental energy for our mind? Here gets the idea about visiting temples. It’s found that we get mental energy by the equal interaction of our body and the soul, usually we say ‘Jeevathma-Paramathma Samyogam’. Some says that its one type of ‘Yoga’. Obviously a question arises here. How does body and mind interact equally? The ancient sages say that, if we close our eyes, free our mind and concentrate only on our prayer, then itself we will get the required energy for our mind. It is prayer, that gives us mental energy for day to day life. Our everyday routine prayer has so much importance in our life. In this sense if we go to temple regularly and pray, the amount of mental energy we receive will increase in a better way. Make Sense? You can well refer with our ancestors who advise us to visit temple everyday. "Chaithanya" or energy will flow from the deity to the person who visits the temple for worship. Deity : Each temple will have one presiding deity (some cases more than one, with equal importance), the god/goddess who is considered as most important deity. There may be sub deities or upadevathas which places outside sanctum sanctorum (Sreekovil). Poojas are done according to tantric rules and it depends on the type of temple and its rituals and customs. The ultimate authority for doing thanthrik pooja in a temple is called Thanthri. Thanthri is considered as "Father of the Deity". Particular family holds this right, means members from this family can only be able to do special poojas like re-installation of deity, festival poojas etc. It is believed that the one who installs the deity holds right to do tantric rituals thus considered as thanthri. Pooja : Daily poojas are done by a Namboodiri person called as Poojari or Santhi in a temple, which may be appointed by Board or Trustee. Pooja timings and offerings may differ temple to temple depends on the tradition, ritual and specialities. Temples may have registered in Devaswam board or Trustee. Registered temples should stipulate rule and regulation of particular board. We can see several temples, which own by particular family or village. In kerala you can see variety of rituals and customs pertaining to temple. Each temple may have the annual festivals or events that make that temple more important. And ofcourse there are certain temples, which opens special period of time. Like wise we can find varieties of rituals and traditions. Pradhakshinam : "Pradhakshinam" means circumambulating the temple, as a part of worshipping. We can see two types of ‘Pradhakshinam’ during worship. First one is, we do inside the temple near the ‘Prathishta’, which is called “Sreekovil” (Sanctum Sanctorum). It should be done outer part of the "Balivattam" which is inside "‘chuttambalam’. Second one is the Pradhkshinam usually we do outside the “Chuttambalam”. There are certain rules for doing a ‘Pradhakshinam’, especially in Siva temples, one should not circumambulate in fully inside the temple. It is because of the “Somarekha” placed in the position. "Pradhakshinam" in a temple should be clock-wise. During Pradhakshinam one is focusing the center point as the deity. "Shayana Pradhakshinam" is different type of circumambulating in lying posture. Devotee's forehead, shoulders, hands, chest and knees should touch the ground while doing this. Certain rules may be applicable while doing number of "Pradhakshinam" for a deity in a temple. Following are the number of Pradhakshinam for common deities. One time for Vinayaka, Two times for Surya deva, Three times for Siva, Ayyappa, Muruga, Nagas, Vettakkaran. Four numbers for Devi and Vishnu (Krishna), Seven numbers for "Arayal" (Peepul Tree). "Pradhakshinam" for "Arayaal" (Peepul Tree) should only be done in the morning. One should do Pradhakshinam with chanting the sloka/manthra of the deity. Walking should be slow and without moving hands wide. It is better to keep hands folded during Pradhakshinam. Shadadhara Prathishta : If we look at a human body in the sense of “yogasasthra”, then we can see one fact that all the parts of a human body are included in the Sculptured Artwork of temples. The ‘Panjakosa’ which lies horizontally in the human body, can be seen as the ‘Panjaprakarangal’ in our temples. Instead of vertical "Shadchakra" we use "Shadadhara" in temples. "Shadadhara" is placed just lower side of the main idol. “Adhara Sila”, "Nidhikumbham", "Pathmam", "Koormam", "Yoganalam", and "Napumsaka Sila" are placed already in the beginning stage of temple formation. After fixation, we cant never see that all. This Shadadhara Prathishta can be seen only in Kerala temples. If we enquire about the same feature in our neighboring states Tamil Nadu, Andhra Pradesh or Karnataka, its very rare to see single one. I am not pretty sure about north indian temples. 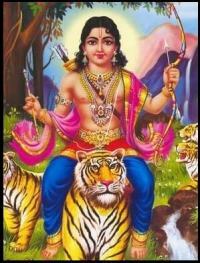 Lord Ayyappa is considered as one of the famous deity worshipped in kerala. In recent times, not only in kerala, devotees from all around world started building temples and worshipping Ayyappa. The fact is that, Ayyappa is believed to be the one god who protects his devotees from miseries and suffering in “Kali Yuga”. Bhagavathy (Bhagavathi) or Devi is considered as female aspect of the divine Shakthi, as conceived by the Shakta tradition of Hinduism. Shakthi is considered as the female counterpart without whom the male aspect remains impotent. 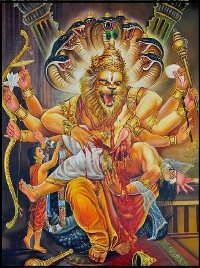 Shakthi is the energy and Shakthi worship is a vital part of Hindu Tradition. 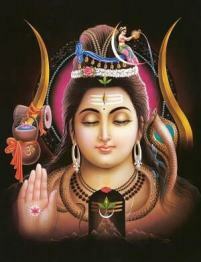 Lord Siva is an important God in Hinduism, including in the Trimurthis. In the ‘Trimurthis’, Siva has the duty of destroying or ‘Samhara’. 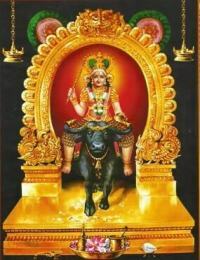 Siva is believed as the supreme God. Siva is referred as consciousness as per Sakthisam. Siva has many more other names as Rudhra, Mahadeva, Parameswara, Neelakanda. Lord Mahavishnu is one of the deities in ‘Trimurthis’. The three functions of the world namely “Creation” , “Maintenance” and “Destruction” are being done by ‘Trimurthis’. Vishnu is known as the preserver in them.The name ‘VISHNU’ means the one who can enter anywhere, as we usually says ‘Sarvavyapi’. According to Indian culture snakes are also considered as gods. ‘Nagas’ or ‘Sarppas’ or 'Serpants' means snakes. Usually we considers a naga as a king cobra. There are more importance for this ‘Nagas’ in our epics. Many stories are written about them. Vishnu Maya is also referred as Chathan or Kuttichathan. His rides in buffalo and known for his Maya (illusions). Vishnu Maya (Kuttichathan) born in union of Lord Siva and a tribal girl called Koolivaka. intention behind Vishnu Maya’s birth was to kill the asura called “Jalandhara“. Lord Dhanwanthari is an avatar of Lord Vishnu in Hindu tradition. He appears in the Vedas and Puranas as the physician of the devas. 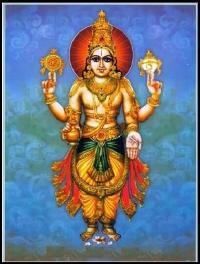 Lord Dhanwanthari is believed as the God of Ayurveda. It is common practice in Hinduism to worship Dhanvantari for sound health. 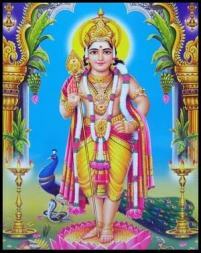 Muruga or Subramanya is a popular deity among Hindus, especially among Tamil people. Many names are there for Muruga as Karthikeya, Kumara, Velayudha, Shanmugha and so on. His main weapon is known as ‘Vel’, which was given by Parvathy. Thus known as Velayudha. He was born as the second son of Lord Siva and Goddess Parvathy. 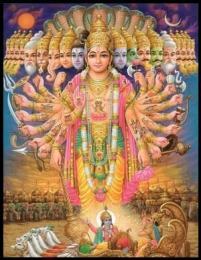 Rama or Sreerama Chandra is the seventh incarnation of Lord Vishnu. Lord Rama is one of the popular deities in Hindhuism. He is considered as the perfect man in the world. He is called ‘Maryadha Purushothaman’ in this sense. Our famous epic ‘Ramayana’ describes the story of Sreerama from his birth. Devi Sita, the avathar of Mahalakshmi, is the wife of Sreerama. Vinayaka is one of the famous and greatly worshipped deities in Hinduism. 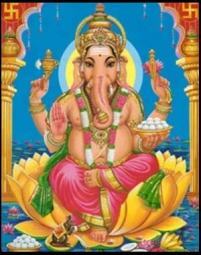 Vinayakar is also known as Ganesh, Vinayaka Vigneswara, Ganapathy, Pillaiyar . The main identity of Vinayaka is his elephant like head. Its known that Vinayaka is the eldest son of Siva and Goddess Parvathy. We believe that if we pray to Ganapathy, all the obstacles will remove quickly. 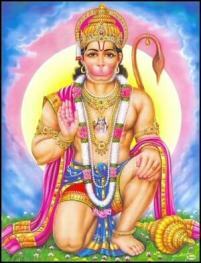 Lakshmana is the brother of Lord Rama. 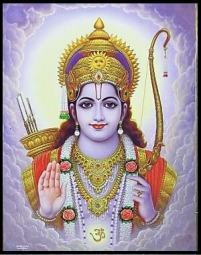 He is also one of the close companion of Lord Rama. In Hinduism, Lakshmana is considered as the avathara of ‘Anantha’, the immortal and infinite snake on which Lord Vishnu takes rest. Lakshmana is the son of Dhasaradha’s and sumithra and twin brother of Sathrughna. 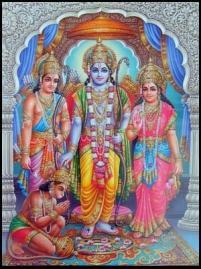 In spite of of being the twin brother of Sathrughna , Lakshmana was more attached to Lord Rama. 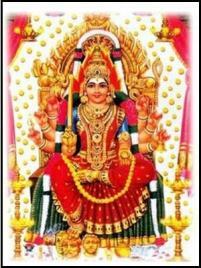 Mariyamman is one of the famous goddess worshipped mainly in south india. ‘Amman’ in tamil means ‘Mother’, “Mari” means rain. Put together, meaning of ‘Mariamman’ is supposed to be the goddess of rain. 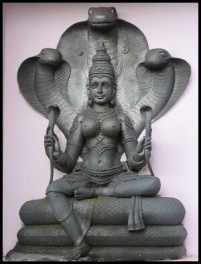 This Goddess is worshipped commonly in south Indian states like Tamilnadu, Karnataka, Andhra Pradesh and some parts of Kerala too. 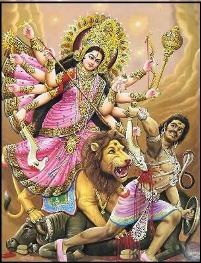 Mother ‘Mari’ is related to our well known goddess Durga devi. 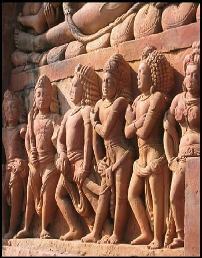 The temples with the deities which are uncommon are grouped under this section. Browse through this section and explore about unknown temples in kerala with rare rituals and customs. Some of the temples are not explored and not known to other communties. In addition, you can also access "Know More" facility, which gives you even more valuable information about temples, with special offerings and rituals. Use of this website signifies your agreement to the Terms Conditions.